WASHINGTON – U.S. Senator Claire McCaskill is calling out the U.S. Postal Service for its use of “emergency suspension” authority to close down Missouri post offices, potentially circumventing the standard process that requires input from communities that would feel the effects of a closure and notifications to Congress. “I recently became aware of a number of post offices in Missouri that were closed via ‘emergency suspension’ and never reopened,” wrote McCaskill, a former Missouri State Auditor and senior member of the Homeland Security and Governmental Affairs Committee, in a letter to Postmaster General Megan Brennan. “I am concerned that these closures are circumventing the United States Postal Service’s standard discontinuance process, and communities are being adversely affected without the opportunity to meaningfully participate in the decision-making process. The USPS’ Annual Compliance review for fiscal year 2015 shows no post offices, stations, or branches closed but lists 469 post offices and 107 stations and branches under active suspensions. Communities have been told that some of these post offices will not reopen, and even for those that will reopen, some of the affected communities have not been told when that will happen. 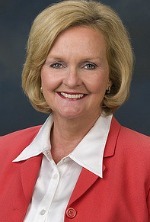 McCaskill, a longtime outspoken advocate for postal service in rural areas, has previously demanded answers from USPS on how it will protect mail delivery for rural Missourians and efficiently manage the cost-sharing benefits with competitors to carry mail the “last mile,” especially in rural areas. The Postal Service also heeded McCaskill’s call for a one-year moratorium on postal closings until their impact was fully understood last May.